Hotels are good indicators of a city's strong, stable and growing economy, stability of peace and order, all of which make it conducive to do business in a city. Of course, none of these would have been possible without the dynamic leadership of the local government and strong support it gets from its constituents. 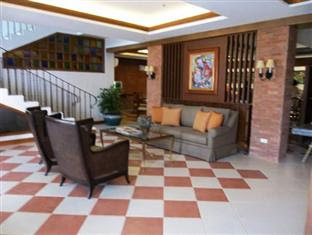 Hotel Vicente is one of the newest additions to the ever growing number of hotels in Davao City. Built only this year, 2012, this 3-Star boutique Hotel is a five-storey building with 27 guestrooms beautifully designed and decorated in Filipino-Spanish style and ambiance to ensure its guests utmost comfort during their stay in the hotel. It is an ideal place for business and leisure travelers who are looking for a nice, clean, and comfortable accommodation that provides all the conveniences and comforts of home at very affordable rates standard to its class. 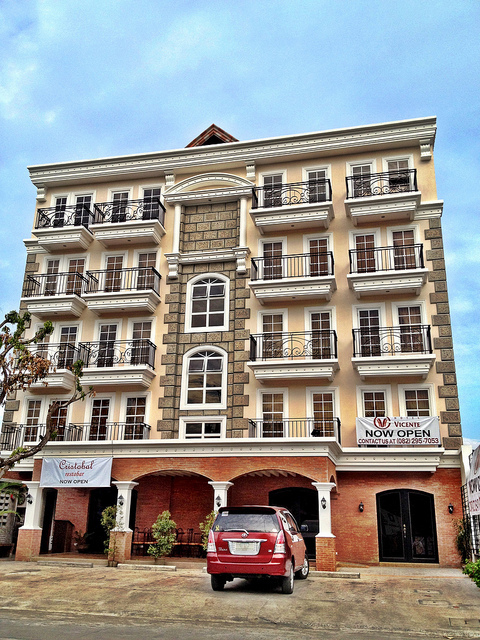 It had its soft opening last June 22, 2012 and is currently offering a 30% discount on room rates within July. What makes this Hotel unique and different from the other hotels in the city is that the Hotel is built on a lot where the owner's old house once stood and parts of the old house were preserved and incorporated into the hotel's furnishings such as doors, banisters, wooden beams, and even the sitting rock that the owner's grandfather used to sit on. 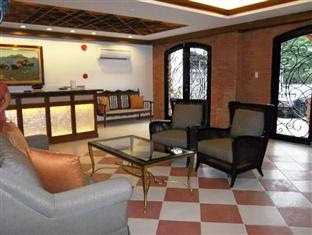 The Hotel is owned and operated by the Calma Family of Davao City. The Hotel has a 24-Hour room service, and provides free Wi-Fi Internet access, laundry and dry cleaning services, safety deposit box, airport shuttle, and free parking. Its Business Center has facilities for fax and photocopying. There are 12 balcony rooms and 15 superior rooms without balcony, all of which are exquisitely designed in stucco style and beautifully furnished with orthopedic mattresses imported from Australia to ensure utmost comfort, with especially designed bed frames made of solid hard wood for bed stability, 32 inch LCD flat screen cable TVs, FREE Wi-Fi Internet access, and private toilets and baths with hot and cold showers. Selected rooms are fitted with refrigerators. 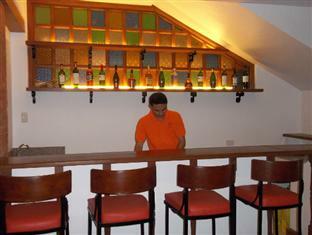 Hotel Vicente also has its own restaurant and bar called Cristobal, named after Mrs. Virginia Cristobal, the wife of Mr. Vicente T. Calma, after whom the hotel was named. 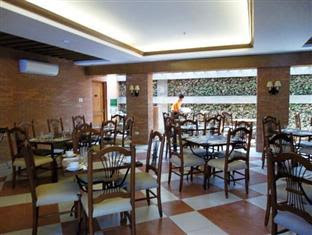 The Restaurant serves a wide selection of delectable Filipino and Spanish cuisines. In-room dining is also available upon request. Hotel facilities include three separate function rooms that can be integrated into one big room for private parties or business events which can easily accommodate up to 100 guests. Gatbuca, the smallest function room is ideal for meetings and similar events and can comfortably seat up to 20 guests. The second biggest function room is called, Calumpit, which can accommodate up to 30 guests and is ideal for bigger events or small banquets. Malolos, the biggest function room can accommodate up to 60 guests depending on the seating arrangement. Check-In time is 2 PM, and Check-Out time is 12 PM. The Hotel is located along Florentino Torres Street in Davao City and is conveniently close to several commercial and business establishments, shopping malls, dining and entertainment areas, and is about 20 minutes drive from the Davao International Airport. Hi, Me and my mom will be in Davao on August 18-19 (we only have 24 hours), what are the places should we go to para masulit un 24 hours? Will be staying at Hotel Vicente. Thanks!